Ken Welch became the manager of Product Marketing of AutoCAD in 1995. He then rose through the ranks to CEO at the Moldflow Corporation, a simulation software package for injection molding which was acquired by Autodesk. Later he worked at MSC the company that makes Digimat and went on to found SimSolid. SimSolid was acquired by Altair. Altair makes software such as SmartWorks for IoT, SolidThinking, which does manufacturing simulation, and many other tasks, and also the HyperWorks suite that lets you conduct a broad array of CAE simulations. As track records go Ken’s is pretty incredible. His specialization in simulation means as well that his field of expertise has gone from obscurity to being top of mind in a lot of engineering disciplines. 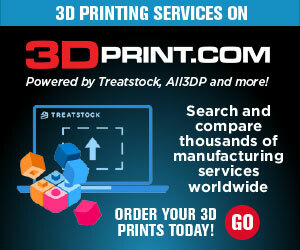 Simulation keeps expanding and simulation firms have set their sights squarely on the 3D printing market. Siemens, ANSYS and Materialise are just some of the companies that are competing for our attention. Why did Altair acquire SimSolid? Simsolid’s technology is truly a revolutionary breakthrough which will have a profound impact on the future of product design. It’s incredibly fast, accurate, and robust and a game changer for the industry. SimSolid is structural analysis software developed specifically for design engineers. It eliminates geometry simplification and meshing, the two most time consuming, expertise extensive and error prone tasks done in traditional FEA. Additionally, SimSolid is fast. Solution times are typically measured in seconds to minutes on a standard PC. With SimSolid, multiple design scenarios can be quickly analyzed and compared. And, accuracy can be specified on an individual part level allowing a rapid drill down to any level of detail that is required. Altair is serious about solution accuracy. Others have tried to accelerate the interface between CAD and simulation by degrading the mathematical robustness. By rapidly moving forward with the methods in SimSolid and expanding them across applications Altair can have a real effect on how design gets done while maintaining high standards for computational excellence. What is the value of simulation? Rather than learning from expensive trial-and-error processes, simulation is a much more efficient and cost-effective way to optimize the design and production process. Simulation has the ability to help companies avoid the high costs associated with outputting parts that don’t meet quality specifications or that deform on production. It allows designers and engineers to more efficiently iterate on a new or existing product and test in virtual environments without having to create, test in real-world conditions and re-create – ultimately saving the company time and money. What role can simulation play in Additive Manufacturing? To successfully take advantage of the benefits of Additive Manufacturing, a new design and simulation process must be used. It’s not beneficial to simply ‘print’ a current design. New tools and advanced computational power have enabled users to optimize solid geometries for stiffness and weight, and also allowed them to simulate loading conditions and lightweight designs. These new computational tools also give users the opportunity to test how a design will perform under real-world conditions without having to fully create and re-create the product. How does topology optimization help manufacturing companies? In years past, topology optimization was typically run with multiple manufacturing constraints so the final design proposal was one that was close to ‘manufacturable’ using traditional manufacturing techniques like stamping or casting, etc. This in a sense put additional constraints on the design. Now, with Additive Manufacturing, and the complex geometries that can be built, the shackles are taken off topology – enabling a ‘free’ topology so-to-speak, giving it more autonomy to come up with a design. This greater freedom and a more literal interpretation of the design that’s possible due to Additive Manufacturing, provides a much better position in the design process by generating a more efficient design. This is in stark contrast to simply taking an existing design and 3D printing it. With the growing interest in Additive Manufacturing, this new design approach has been successfully tried, tested and applied to parts and designs that are being additively manufactured. They include the world’s largest 3D printed part that will fly in space, the world’s first 3D printed bike frame and many others. Through the appropriate use of this technology, all these designs have resulted in significant improvements in terms of performance or weight, or both. How much time could your products save me? SimSolid eliminates the two most time-consuming and expertise extensive tasks of geometry simplification and meshing. These two steps typically take between 30% and 70% of the total modeling and analysis time, so this represents significant process improvement. More important, these tasks represent the bulk of the training requirement for traditional FEA (Finite Element Analysis). Not only is less time required but also less training means that a larger pool of users can take advantage of the benefits that design simulation provides. If I’m new to topology optimization what do I need to know? Believe it or not, the concept for topology optimization was introduced by studying human bone-grown. In the 19th century, Julius Wolff created Wolff’s law which stated that “the bone in a healthy person or animal will adapt to the loads under which is it placed. If loading on a particular bone increases, the bone will remodel itself over time to become stronger to resist that sort of loading.” For example, the bone of the arm in which a tennis player holds his/her racket will grow stronger than the non-dominant arm. Significant research has been done over the years on this phenomenon, however, in the early 1990s, Altair began developing the first commercial application of topology optimization based on various research studies done at universities around the world. In the mid 1990’s Altair released the first commercial version of a topology optimization tool and started selling it to primarily automotive companies. In 1994, this technology called OptiStruct won IndustryWeek’s prestigious “Technology of the Year” award. Topology optimization has advanced significantly since then, but at its roots it uses the actual load cases that a part or an assembly will incur in its lifetime and helps its users to create the most efficient shape/design to carry that load. These simulation techniques allow customers to design lightweight and performative parts using a simulation-driven design approach. Advances in manufacturing technology also allow these sometimes complex designs to be built using both traditional processes like casting, injection molding, and forging, but also through Additive Manufacturing (AM) or 3D printing.